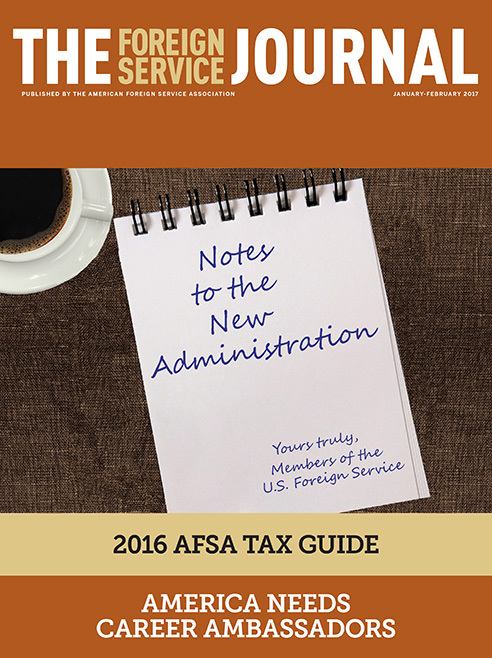 The January/February issue focuses on notes to the new administration. The new administration’s challenge is to sustain U.S. leadership in an increasingly unhinged world. Policy crises and human crises in faraway places—the stuff of diplomacy today—offer compelling lessons in leadership. Here are eight recommendations to rationalize U.S. foreign assistance and, thus, greatly increase its effectiveness. Members of the U.S. Foreign Service brief the Trump team, briefly. We need to better understand followership—not just because it essentially complements leadership, but for its own specific qualities.